UP tv’s “Date My Dad” is the best family show since the early 2000s! I’ve been missing the humor and heart of family centered programming for quite awhile, and this production filled that large void. 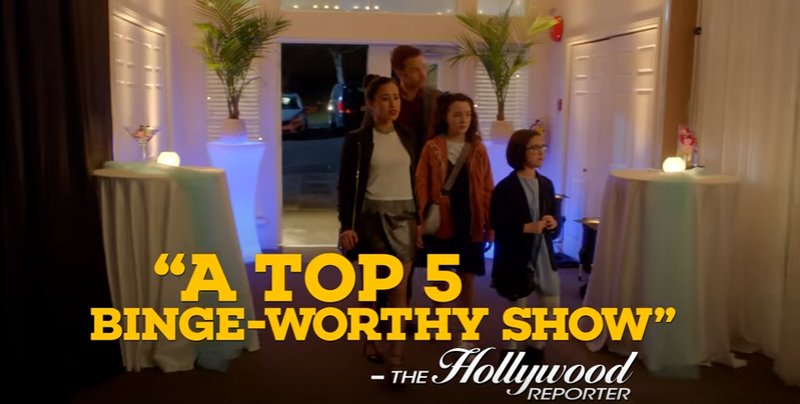 Actor Barry Watson holds his own as a former baseball player turned fitness center owner, while his hilarious employees, spicy mother-in-law and colorful daughters (including actress Zenia Marshall) light up the screen. I couldn’t help but laugh out loud at last week’s episode (see trailer below) and anxiously wait for this week. It would be a crime if this series wasn’t renewed for multiple seasons! These actors/actresses have so much to offer. I can’t wait to see Ricky (Watson) and his employee Stephanie (actress Cindy Busby) finally transform their business relationship into a romantic one. I have a feeling she is the best choice of wife for him. UPtv, don’t let us devoted viewers down. I’m one of many people patiently waiting for season 2. For info on the next episodes, click here. All rights to the video and image belongs to UP TV. This entry was posted in Entertainment, News, TV and tagged Barry Watson, Cindy Busby, Raquel Welch, romance, Zenia Marshall. Bookmark the permalink. Season 2 is a must!!!! When. Is season 2 of date my dad.? I love that show. We are all waiting on the good news. I love this show! What a talented cast! When do the new episodes start?? UPtv hasn’t announced a season 2 airing date, but I’m hoping it will be soon too. Bring back Date My Dad. Enough of the trash tv. Do we still not know anything about a season 2 of Date my Dad? I loved Barry Watson in 7th Heaven and I love him in this new family show, “Date My Dad”. Please make sure there is a Season 2. Forget all the reality shows, we need good family shows.